Life is not as easy as it used to be and we now all find ourselves always trying to catch up with the pace of life. We often find ourselves attempting to balance our career, hobbies, relationships, and aspirations, but how do we know if we have the right mix? Sometimes we feel it in our gut, but other times, it’s our daily regimens that tell us if we have the right mix. 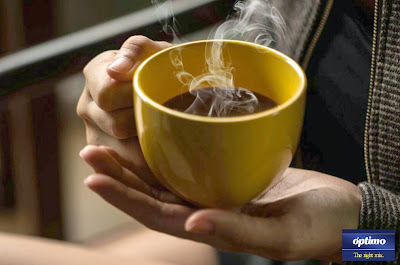 If the day starts off smoothly, that’s an instant energy booster for us to get through anything. So, start your day right with Optimo’s 3+3 Coffee Mix. Optimo offers a premium and healthy coffee mix sweetened with Suchero instead of the usual chemical or artificial sweetener we often come across. The Suchero coco sap in Optimo is a branded coconut sap sweetener that is drier than most coconut sap sweeteners, allowing it to have a longer shelf life. It is also a 100% natural and organic coconut sap sweetener that creates the right mix with three herbal extracts, namely Gingko Biloba, Grape Seed, and Green Tea. The strong brew of Optimo is enhanced by the caramel taste of the Suchero coco sap. As sweet as Optimo is with this healthy sweetener, Optimo doesn’t lead you to a sugar crash. The sweetener gives you the flavor you want, but with its “slow burning” properties, the energy released by the coconut sap is distributed over a longer amount of time, allowing your blood sugar to remain stable. Thus, Optimo is an ideal coffee drink for even the healthiest of health buffs. Additional health benefits in the Optimo 3+3 Coffee Mix can be found in the three herbs present in the mix; the first being the Gingko Biloba herb known as the “mind and memory extract” which, as studies have showed, improves mental performance and mood. The second herb is the Green Tea herb which is recognized for its anti-oxidant properties as well as the increase of one’s metabolism. Lastly, there’s the Grape Seed herb known as the “beauty” extract with concentrated amounts of Vitamin E which repairs collagen and protects your skin from sun damage. Fast-paced and multi-faceted are the best words to describe the lifestyle of today’s youth. 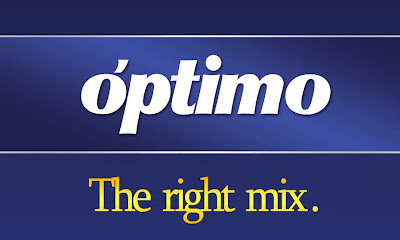 Optimo’s 3+3 Coffee Mix is the Right Mix for you. You can find Optimo’s 3+3 Coffee Mix at any of the following establishments: Makati Supermarket, Walter Mart, Uni Mart, Landmark, Shopwise, Rustan’s Supermarket, Puregold, and Mini Stop. Get your fix of the Right Mix today! The Kitchen Goddess and Optimo Coffee is hosting a Photo Challenge for everyone (those who reside in the Philippines only). Its really easy to join, just follow the simple steps: subscribe to this blog, and like and follow Optimo Coffee FB Page, Optimo Coffee twitter, and Optimo Coffee instagram. For the first week- that's from October 18-24, the theme for the photo challenge is "Right Mix" of accessories. Use #TheRightMix on FB, IG or twitter and tag the blogger and tell them what #TheRightMix of accessories is for you. Winner will receive 1K Forever21 GC + 8 boxes of Optimo Coffee. For the second week- that's from October 25-31, the theme for the photo challenge is "Right Mix" of company. Use #TheRightMix on FB, IG or twitter and tag the blogger and tell them what #TheRightMix of company is for you. Winner will receive 1K Forever21 GC + 8 boxes of Optimo Coffee. For the third week- that's from November 1-7, the theme for the photo challenge is "Right Mix" with Optimo. Use #TheRightMix on FB, IG or twitter and tag the blogger and tell them what #TheRightMix with Optimo is for you. Winner will receive 1K Forever21 GC + 8 boxes of Optimo Coffee. Announcement of winners will be after November 7, 2013. Contest Eligibility: Like & follow Optimo’s FB, TW, and IG; Use #TheRightMix; on Twitter, FB, or IG tag the blogger and tell them what #TheRightMix mean to you by sending us a photo with the theme- #TheRightMix of accessories for the first week, #TheRightMix of company for the second contest week, and #TheRightMix with Optimo on the third contest week. Don't forget to tag me either thru my FB Page, Blog, IG, or twitter to win great prizes.